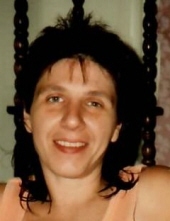 Virginia Jean D'Arrigo, 58, of Galloway, passed away August 26, 2018 in Ocean View, NJ. Born in Passaic, NJ, she lived in Garfield and Toms River before moving to Brigantine 4 years ago. Jean owned Belleville Deli in Belleville for many years before her retirement. In her free time she enjoyed coin collecting and painting with watercolors. She is survived by her son, James D'Arrigo (Kely); her mother, Florence P. D'Arrigo; her 5 brothers; 4 sisters and 7 grandchildren. Visitation will be 1PM to 2PM on Friday August 31, 2018 at Parsels Funeral Home, 324 New Jersey Avenue, Absecon, NJ. A service will follow at 2PM. For online condolences, please visit www.parselsfh.com. To send flowers or a remembrance gift to the family of Virginia Jean D'Arrigo, please visit our Tribute Store. "Email Address" would like to share the life celebration of Virginia Jean D'Arrigo. Click on the "link" to go to share a favorite memory or leave a condolence message for the family.